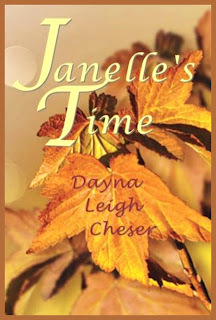 Paranormal Romance and More: Excerpt & Giveaway with Dayna Leigh Cheser, author of Janelle’s Time! Excerpt & Giveaway with Dayna Leigh Cheser, author of Janelle’s Time! Squaring her shoulders, she pushed the gate open and walked the faint path until she passed the third large tree. There, a few steps to her left, in the shade of the spreading maples, were her parents’ graves. She stood between them, bewildered. Turned inward, she didn’t hear the sighing summer breeze in the trees, nor the gurgling stream as it flowed from the lake on its way to the sea. What she did hear was her father speaking—reassuring her, telling her everything was all right. Slowly, she dropped to her knees. The clarity of his voice unnerved her. Her face in her hands, she cried aloud—great gulping sobs, tears flowing freely. After some time, her tears subsided. She found herself talking with her parents: the mother she’d never known and the father so recently lost. When she finished, tears came again, this time, cleansing her soul. Coming to terms with her new reality and finding peace in herself, she knew that, after today, there’d be no more tears. She’d miss her father deeply, but no more tears. Gerard’s death was devastating Janelle. 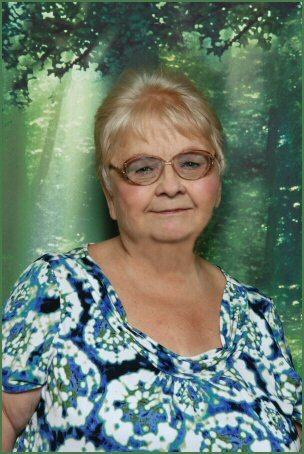 She performed the necessary duties surrounding his death but spent much of the next several months, in her room. She felt so alone, even with Maura and the entire farm staff around her. Her siblings and their families gathered around her but even they couldn’t reach the distraught woman. Maura worried about her – she wouldn’t eat, she wouldn’t see anyone; she was just slipping away and no one could reach her. However, in time, the healing began to take hold. One beautiful summer day, Janelle – alone – rode to the cemetery, wearing full mourning, including a veil that covered her face and shoulders. Maura and old Sampson wanted someone to accompany her – Sampson was more than willing – but being alone with her father was what she needed that day. She understand how draining the experience would be. Richard Grayson, the youngest son of an English Duke, with his father, Damian, and two other younger brothers, Anthony and Edward, lived at Englica, on the west side of Lake Galloway, across the lake from the LeDuc Farm. The Grayson men gave new meaning to the phrase ‘tall, dark, and handsome.’ Because of their duties, the Grayson men didn’t spend much time socializing, but they, especially Richard, were the favorite topic of conversation amongst the young ladies of the district – in private, of course. Richard has seen Janelle from afar, during the several years the Grayson men have lived in New Hampshire. Known for her big horse, Jack, and her skill in the saddle, Richard admired her greatly. Finding her alone in the cemetery was a stroke of luck – now he’d finally be able to meet her. He watched and waited for her to finish her duty. 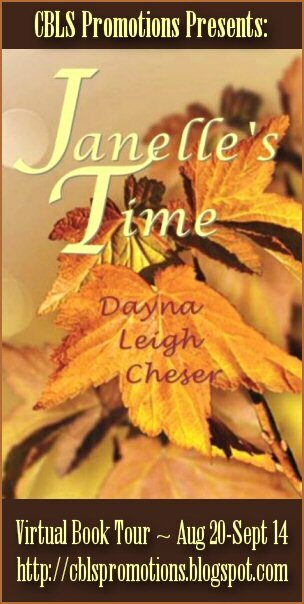 Janelle’s Time is the story of the great love between a New Hampshire farmer’s daughter and the younger son of an English Duke. From her father’s death to the birth of twin daughters, Janelle makes it difficult for Richard to keep her safe. Unaware of Janelle’s maternal-line powers, the couple time-travel to 14th century England, where they meet Richard’s ancestors - and discover some startling truths about his aristocratic family. Logan Conor, the Scots Duke of Muileach, crashes Richard and Janelle’s wedding, bent on revenge, but finds his own true love instead. On their wedding trip, a madman attempts to kidnap Janelle - twice. Later, Richard unknowingly betrays Janelle who strands him in England. Richard finally arrives home, but fate separates them again – and he misses the birth of his son. Will they ever make a life together? Filled with unexpected twists and turns, their love story spans two continents, and hundreds of years. But, can their love survive their very different backgrounds and the endless obstacles life throws at them? Writing ‘runs in the family.’ My mother is a multi-published non-fiction author, and my two brothers make a living writing, one as a newspaperman, the other as a copywriter. My sister edits her church newsletter. My father was a school teacher/reading specialist (later an elementary school principal) when I was little. During story-time one night when I was about four years old, I stopped him and asked how he said the same thing every time he read that story to me. That night, he started teaching me to read. It began a life-long love affair between books and me – for that, I am grateful. In junior high, I wrote short stories to entertain classmates. In high school, one English assignment was to write my autobiography. In the teacher-specified chapter entitled ‘Future Plans,’ being a published writer topped the list. After a college professor told me I ‘couldn’t write my way out of a paper bag,’ I stopped writing for many years. Then, in the late 1970s, I wrote an article for “World Radio News” (San Diego, CA) about our amateur radio club providing communications for a March of Dimes Walkathon. The ‘WRN’ editor used my article word-for-word. In early 2002, between jobs and wanting to write, I sought a third-shift position and used the ‘free time’ to write what became ‘Janelle’s Time.’ When it was complete, I shelved it. In 2009, the WIP came off the shelf. By August 2011, it was ready – at last - for submission. In 2009, I started a Twitter account, @Writers_Cafe. I feel as if I’ve earned a degree in ‘book publishing’ since then! You can learn so much from over 14,000 followers. I penned an article about @RileyCarney, a Colorado teen, and very prolific YA fantasy author, who heads her own non-profit literacy project. Never officially published, countless people have seen it, thanks to Twitter retweets and some carefully chosen email inboxes. On New Year’s Day, 2010, I went ‘live’ with my blog. It has evolved into a combination of chronicling my writing journey and hopefully helpful posts on publishing industry topics. In the fall of 2011, I added ‘DIY Interviews’ to my blog (see the left column of my blog for details on doing your own interview). Several authors have submitted ‘interviews’ to date. 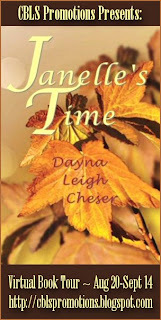 Moving into 2012, I’m very excited about the release of ‘Janelle’s Time.’ It’s the culmination of a life-long dream – and is only the beginning of my retirement career. I’m working on “Moria’s Time,” book 2 of the Time Series. My husband, Pete, and I have been married over forty-three years – no children. We lived in Massachusetts for thirteen years, and then moved to New Hampshire for eleven years. In 1992, we moved to Florida.